Bold, creative looks are on the rise in 2019. 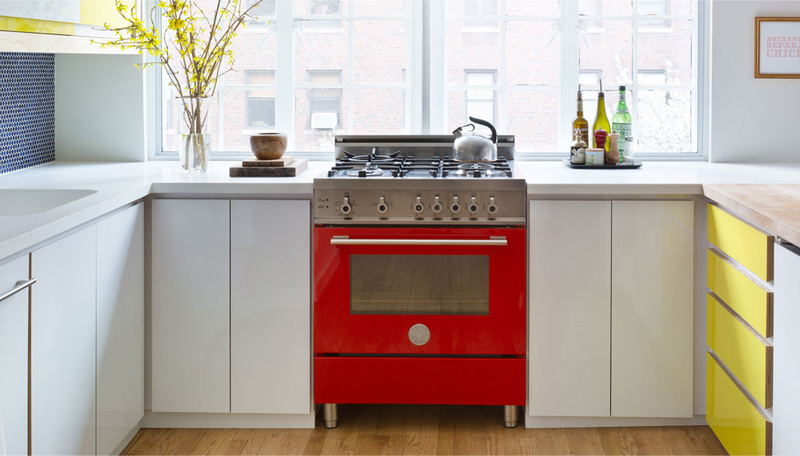 Black, white, and stainless steel kitchen appliance finishes have saturated the industry for years and now a color rebellion is on the rise. Sure, reds, blues, and yellows aren’t for everyone. But an open mind could result in a jaw-dropping kitchen that’s the envy of all. Since there are several options to choose from, we’ll go over some pros and cons of the most popular appliance finishes on the market now. Don’t worry. This is a long way from the brown of grandma’s 1975 refrigerator. 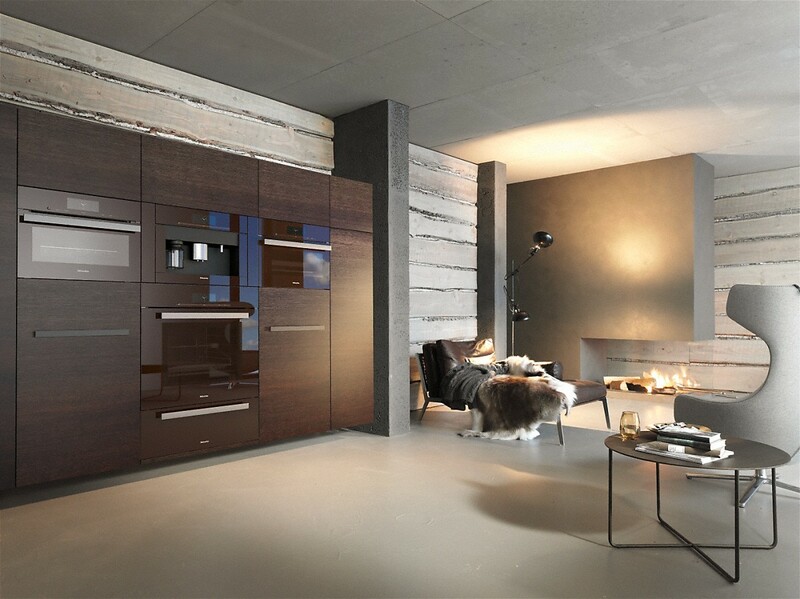 Miele‘s Truffle Brown is elegant and contemporary yet, the finish brings a warmth and earthiness that pairs well with dark wood and cabinetry. Truffle Brown offers beauty and sophistication—lighting up the darkest of spaces with its glossy shine. The smooth and stylish look of this finish makes it a safe choice for anyone building or remodeling a kitchen. Another new look hitting the market is Graphite Grey from Viking. This sleek finish brings a trendy, modern feel. Even if you’re not into the modern design but want a professional kitchen, this could be the finish for you. It goes with anything—light or dark. The only downside is that it’s only made by Viking, so plan your appliance purchases and repairs accordingly. If you visualize color in your dream kitchen, La Cornue, SMEG and Bertazzoni offer a variety of colors. You can literally customize your appliance finishes to match any style. Be fearless, and let your imagination roam free. If you’re searching for a custom color with endless possibilities, try Bluestar. With 750+ colors and 10 metal trims, Bluestar allows as many choices as there are swatches in a paint store. Pick your desired texture and color, then design each appliance to your specifications. It really doesn’t get any more fun than this! The matte finish and gray hue of Slate make this new appliance finish a favorite. Modern, clean and neutral, Slate offers a smart, stylish finish. While this isn’t the obvious choice for most appliances, it’s a safe choice. Slate is also practical with fingerprints because of its smudge-proof qualities. Cons? It’s only manufactured by GE, so you may not always be able to find it when replacing parts or appliances. When it comes to designing the ultimate kitchen, stainless steel is never a bad choice. It’s high-end and timeless. It also trumps traditional white appliances for reputation and perceived value. Built to last and aesthetically pleasing—stainless steel outshines the competition. Black stainless steel is growing in popularity. When compared to stainless steel, these two finishes are dominating the market. This finish is clean, classic, and sophisticated. It offers all the benefits of stainless steel, plus it’s slightly more practical being smudge and fingerprint resistant. Give your kitchen a modern makeover with this new take on a classic. White goes with everything, and while stylish folks will believe it to be “old hat” this color isn’t going anywhere, especially if you factor in a chic, durable lacquer finish that high-end brands offer. White is the cleanest, brightest neutral color. HGTV’s Drew Scott and Linda Phan stand beside their AGA Mercury, a multi-oven dual fuel range in a matte black finish. For a contemporary, modern look, black is an excellent option. 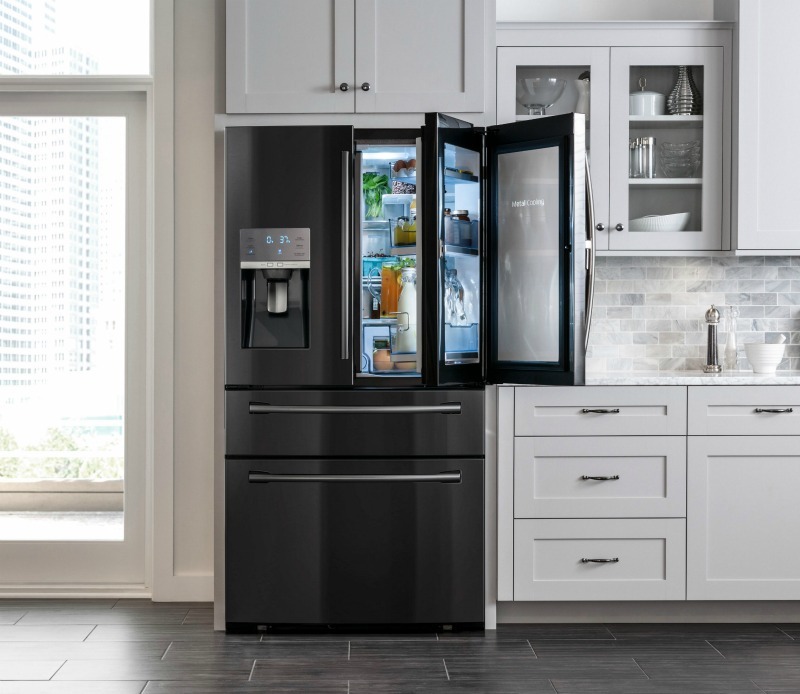 Black pairs with anything dark or contrasts well with light cabinetry We recommend black kitchen appliances for large spaces, as the color can make a room darker. 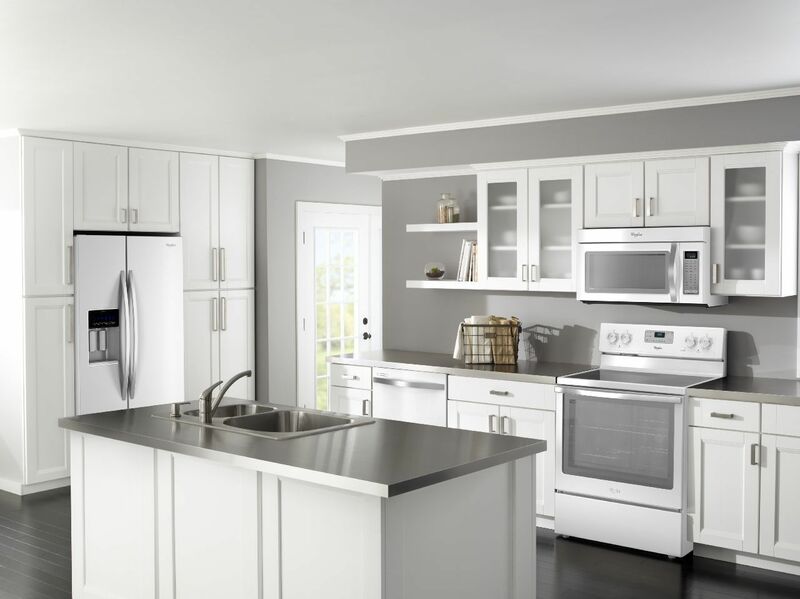 Now that you’ve learned about the variety of appliance finish options available, it’s time to choose the look and feel you want for your kitchen. For a creative or bold look, we recommend a custom color finish from Bluestar or La Cornue. Feeling like something creative and classic? Truffle Brown from Miele or Graphite from Viking are excellent options. Playing it safe? Go with black, white, stainless steel or black stainless steel. The color of your shoes or hair can change frequently, but your appliances will be with you for years to come so… choose wisely, and happy designing.